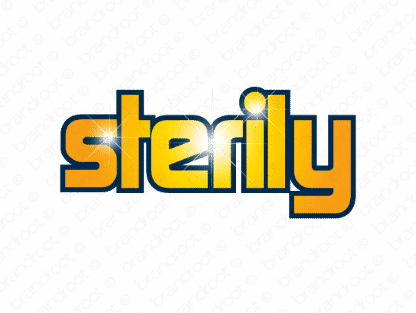 Brand sterily is for sale on Brandroot.com! Make your company shine and sparkle with this unique, quirky reworking of the word sterile. Great for cleaning services or products, as well as businesses dedicated to health and wellness. You will have full ownership and rights to Sterily.com. One of our professional Brandroot representatives will contact you and walk you through the entire transfer process.